Subordinate Granges can sponsor a Junior Grange. Children ages 5 through 14 are eligible to belong to the Junior Grange whether or not they come from a Grange family. 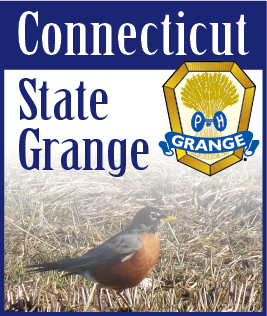 In the State of Connecticut, there are currently two active Junior Granges. Junior members conduct their own meetings, have their own ritualistic work and through this experience they learn leadership, initiative and good citizenship skills. The Junior Grange programs are created to develop and hone individual talents, build self-confidence, increase participation in Grange activities and provide leadership training. Members between five and 14 years old have fun while learning responsibilities and concern for their communities in activities that stress family values. Meetings: First Friday of each month, at 6:00 PM. Meetings: Third Friday of each month, at 7:00 PM.